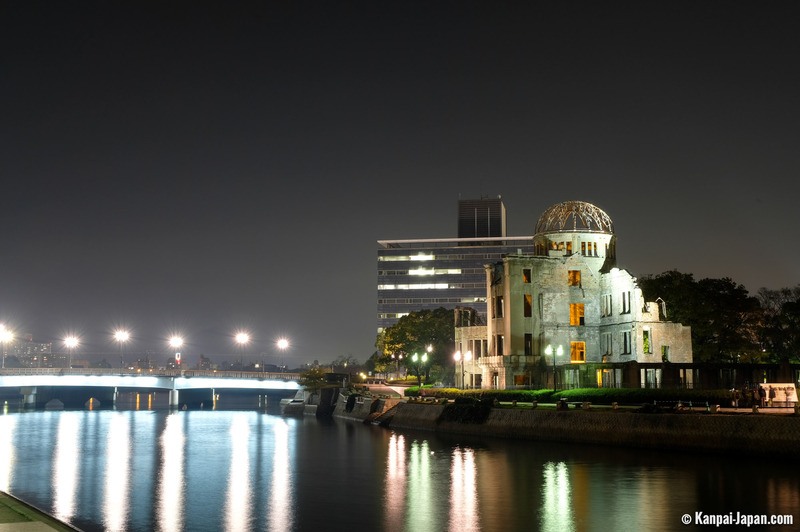 When the “Little Boy” atomic bomb exploded over Hiroshima on August 6th, 1945 at 8.15 a.m., it blew up the whole of the surrounding urban area, causing 140,000 direct and collateral fatalities. Those who survived the bomb became known as 被爆者 hibakusha (explosion-affected people). 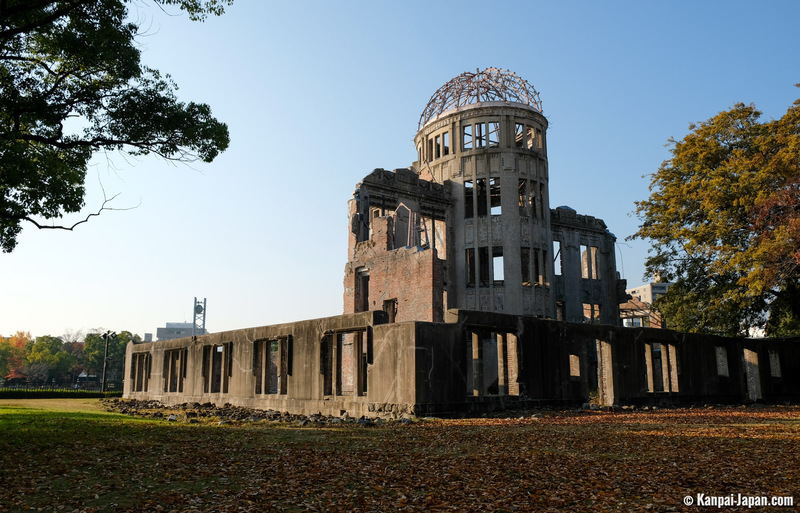 Several man-made and natural structures, however, miraculously weathered the blast, among them an age-old bonsai and a few irradiated tramway cars, two of which still currently operate in the city. Some concrete-built constructions also stood their ground, as opposed to most wooden buildings typical of that period. 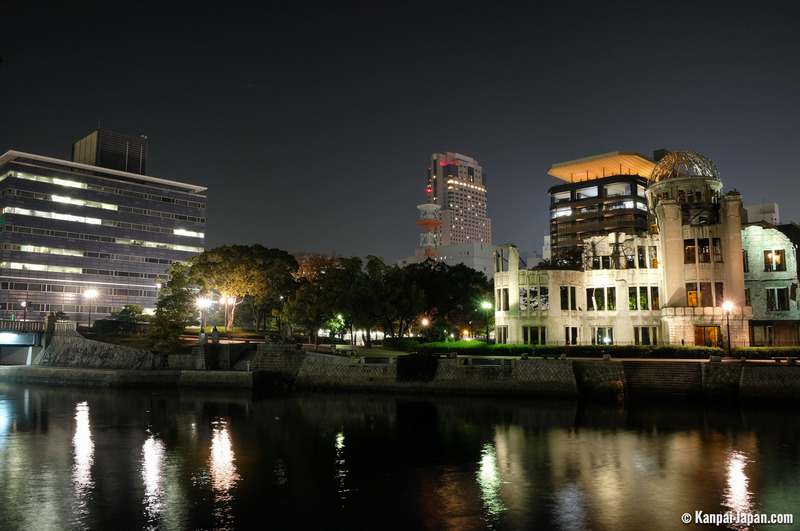 Along with those, the Prefectural Industrial Promotion Hall, which was completed in 1915, is particularly symbolic, especially as it stood less than 150 meters from the bomb’s hypocenter, on the banks of the Ota River. 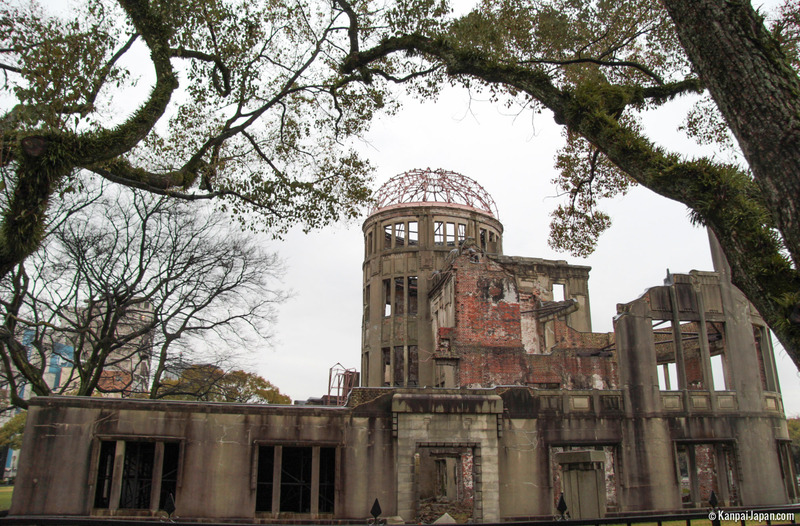 It has been known ever since as the Genbaku (“atomic bomb”) Dome. Although the building itself and those who were in it were blasted by the explosion, the central metallic structure in particular, whose metal dome is 25 meters high, withstood the deadly blast. 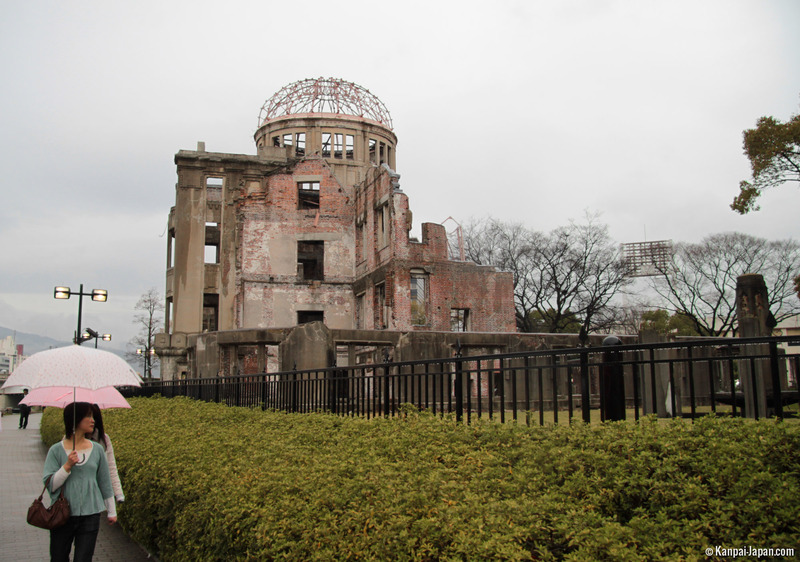 Its ruins have been standing in the same place ever since as a memorial and a powerful testimony to peace. 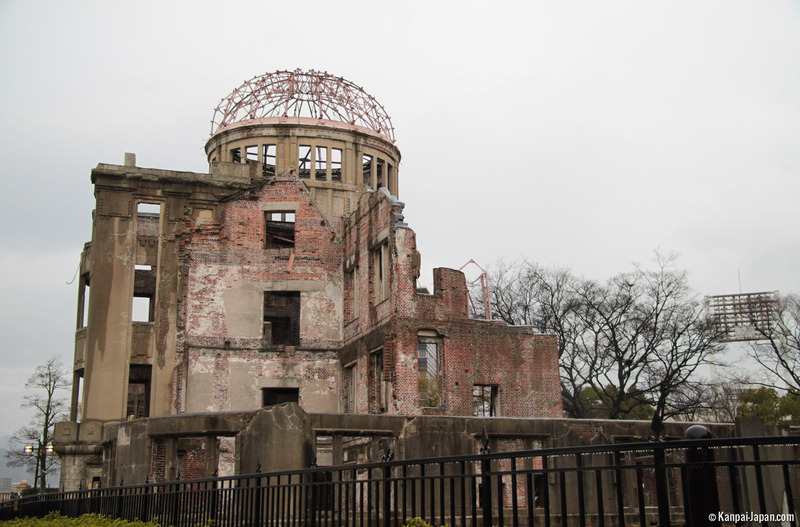 However, it did not seem quite so obvious what to do with the dome in the period immediately following the explosion. 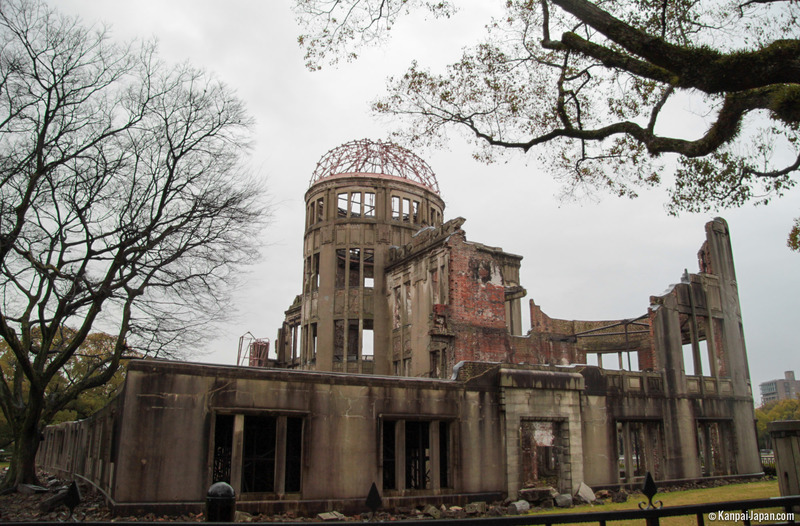 Hiroshima was being actively reconstructed and many were of the opinion that this painful symbol of devastation should be destroyed. The metal framework subsequently deteriorated over the years until, in 1962, a fence was built around the edifice in order to protect both the structure and the visitors in case it should collapse. 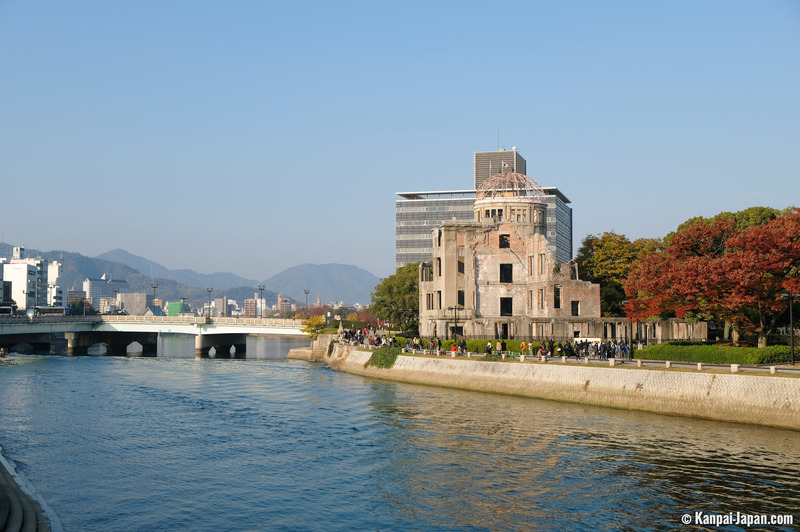 In 1966, Hiroshima city officials adopted a decree to preserve the building, intended as a message of peace for the Japanese people. Reinforcement works of the metallic framework (in particular against wind and rain) were carried out the next year and then in 1989-90 and more recently in 2002-03. 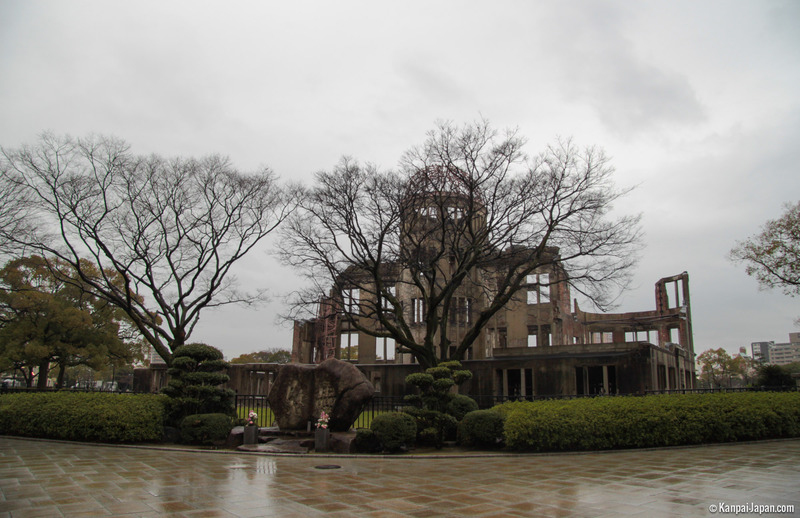 Today visitors may walk up to the protective fence and approach the Genbaku Dome as an introduction to the Peace Memorial Park of which it is now part. In December 1996, it became a Unesco World Heritage site. The quietness that pervades the atmosphere is both fundamentally awe-inspiring and extremely humbling.